This is a 4 volume work on the life, times and contribution of Imam Abul Hasan al-Ash’ari (d. 324 AH) by contemporary Islamic scholars, Arabic manuscript experts, Historians and specialist researchers, with a foreword by the current Shaykh al-Azhar of Egypt – Dr. Ahmed al-Tayyib. 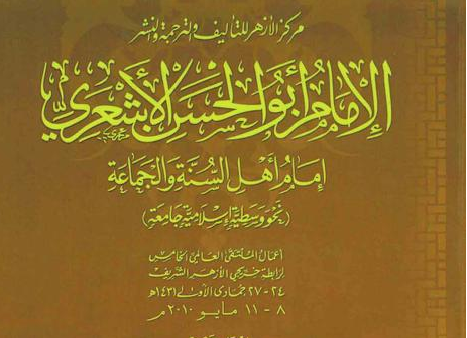 A conference was held on Imam Abul Hasan al-Ash’ari in Cairo between May 8-11th in 2010. The proceedings of this conference lead to the academic papers presented by its contributors being collated into a 4 volume Encyclopaedia entitled: Al-Imam Abul Hasan al-Asha’ri: Imam Ahlus-Sunna wa al-Jama’a. This work was published in 2014 and the links at the bottom are for the complete digital edition of this monumental compilation.